Mark Evans answers Musicals in Europe's Interview. When Mark Evans answered our interview, he was playing Sam wheat in “Ghost The Musical” (last performance October 6). After that he embarked to Shanghai for “Ultimate Broadway” (October 19-28). Since late Decembre, Mark has joined the 1rst North America touring production of “The Book of Mormon” (through late June 2013). He has taken over the role of Elder Price. Musicals in Europe (MiE): What is the 1srt musical you’ve seen? Mark Evans: The First West End show I ever watched was The Lion King but I’d seen a few musicals in regional theatres before that. MiE: What musical has been “the revelation” for doing a career as a singer? Mark Evans: I was really inspired by “Fame the musical” when I saw it when I was 15 as I think every aspiring actor dreams of having that stage school professional training and then progressing into working professionally. I saw that show 13 times. I actually can't bare it now that I've aged a little. MiE: What are your favourite musicals? Mark Evans: I have many musicals that I like but I always say my favorite is Miss Saigon because I feel it's dramatically beautiful and the music is stunning. It grabs the audiences attention from the incredibly arranged overture and then doesn't drop in it's thrilling and tragic story until the very end. It's an expensive looking production and the performances I witnessed when I last saw it a few years back were phenomenal! MiE: What was the first part you had in a musical? 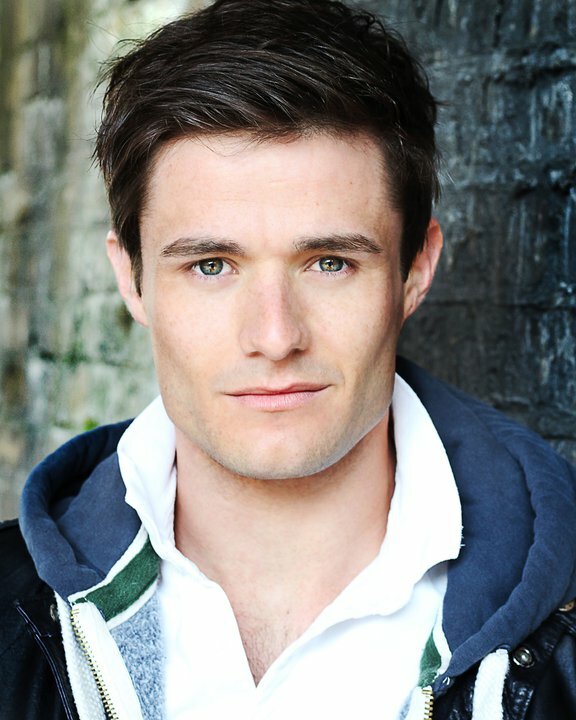 Mark Evans: My first job upon graduation from my training was playing Brother Caleb in the National Tour of “Seven Brides For Seven Brothers”, but my first lead role was Troy Bolton in Disney's “High School Musical: Live On Stage”, at the Hammersmith Apollo in 2008. MiE: What character have you enjoyed playing most of all? Mark Evans: They have all been so varied which is the most important thing. Troy in “High School Musical” was my first lead role so that will always hold a special place in my memory bank. Curly in Oklahoma was a great role to progress myself as a leading man, as in learning to develop the stamina to perform the show up to 9 times a week whilst singing 10 songs every show and doing all the dream ballet choreography too. Fiyero in “Wicked” was definitely one on my tick list that I really wanted to do and I really enjoyed playing that role. The most challenging and rewarding has to be Sam Wheat in “Ghost The Musical”. I've loved playing this role and I was glad I got the chance to do it before the show closed in the West End. MiE: What part(s) was/were the most difficult to play from a musical point of view…. Mark Evans: Sam in Ghost is the biggest role I've played. I am on the stage for the large majority of the show and the vocal demand is very extreme. I sing 9 songs every show and do lots of shouting and speak a lot of dialogue. It's exhausting and I truly believe only a certain type of actor can take on this responsibility. Having said that it's wonderful and an incredible honor to be given the chance to tell this story, one of the greatest love stories of our generation, nightly on a west end stage. MiE: What part would you dream of playing on stage? Mark Evans: There are many roles I would like to do but the main priority for me is that I get a variety in my work. I just see what options I have when the time comes and make all decisions accordingly. MiE: What male role do you like best? Mark Evans: Chris in “Miss Saigon”. MiE: For you, must a musical be sung throughout? MiE: For you, what is (are) the most important thing(s) in a musical? Mark Evans: If you can dissect a musical it is not a good musical. The songs should naturally happen out of the script and the lyrics should always continue to progress and further the story. None is more important than the other and that's why writing for musical theatre is such a uniquely difficult art form. MiE: How does it feel to be on stage, just as if you were “invisible” (from the moment Sam is dead and becomes a ghost)? Mark Evans: I found it quite a lonely way of acting at first because no-one on stage makes eye contact with you which is a huge part of connecting with fellow actors. I have to admit though that it's much harder for my co-stars because they have to ignore me which is much more difficult than just not being acknowledged. MiE: A word for all the people who love your work? Mark Evans: My support and fan base in unbelievable and i would like to say, as always, a huge tank you to everyone for supporting me, following my career and supporting the theatrical industry in general. If we can all experience relief and escape from the stress that real life can sometimes bring, by going to the theatre then in my opinion that is a wonderful thing and 'm glad that people can enjoy that whilst also supporting me and what I do.